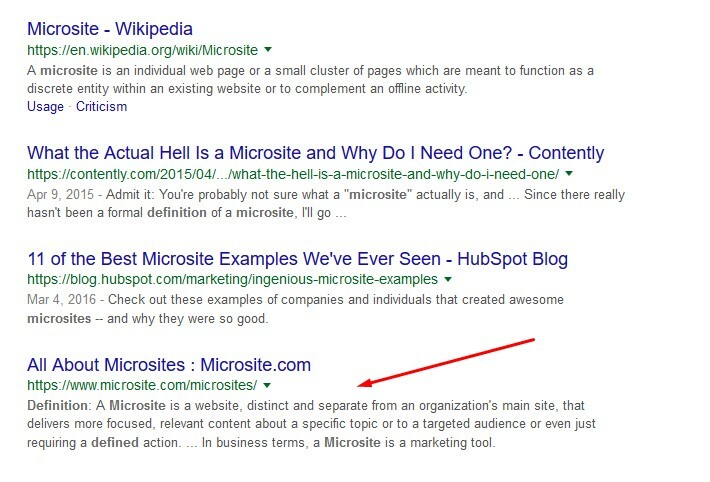 In this post I will be covering some strategies that we can use with micro sites for local SEO. There is a video below that goes into a lot of detail and although it's webinar length it has some great insights on how we can take advantage of micro sites for local SEO in a stupid simple way that anyone can do with little tech knowledge or experience. Microsites can be on their own domain or you will often see them as sub domains, or as I like to do with my main sites, created on a new wordpress folder as separate sites and completely different design and reason for being there. What surprised me when looking at some of the results from top microsite examples search that I did on Google was how many of these recommended microsites have been redirected back into the main domain of the business. This suggests that many micro sites have legitimate reason for being there on a temporary basis and redirecting is the logical thing to do and we can use that later in some campaigns and tests. What is a really good definition of a microsite? So now we have an idea of what a microsite is, let's also consider what it is not. It is not a private blog network, it doesnt need you to hide footprints, it doesn't require you to buy an aged or expired domain with backlinks and use a fake name etc when registering it. However for the purposes of SEO it does throw up some interesting possibilities. A couple of years ago I was testing some stuff with what i called concept sites, which is a microsite by definition. I had created a site commandotubetools.com and I added some free SEO plugins there which created public pages for generating RSS feeds for Google plus, twitter, youtube and it was generating a lot of traffic. 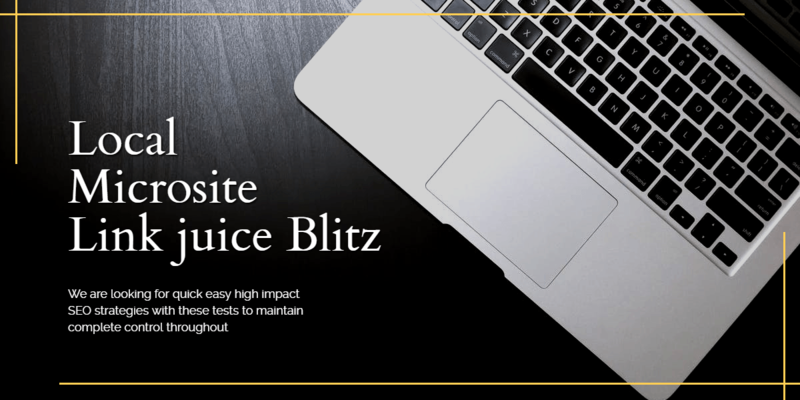 Later I redirected it to my main blog and moved the free tools over there and the traffic shifted with it and the rankings remained which meant very decent traffic volumes generated by a $500 tool. I did the same with a Google news sites too, and used one of my google news sites to do review posts for product launches and that resulted in page one rankings that were maintained throughout the product launch and well after too. I think this was because I created the review posts weeks ahead of the launch and one that stands out was a half million dollar launch and the rankings were maintained. What I want to do now and test with microsites is kinda leaning towards the PBN stuff where we will use exact match domains around a topic linking into a main site and then have some expired domains used with 301 redirects to the microsites. Watch the video here that explains everything in detail. We are looking for quick easy high impact SEO strategies with these tests and to maintain complete control throughout. We will test 301 redirects to some of these microsites using relevant expired domains with backlinks, again see the video as there is more than one way to do this. We will use expired domains that have been rebuilt in wordpress for at least 2 months, indexed, and have content on them. As it happens I have several already aged for this purpose and have been online between 3 and 5 months and ripe for redirecting either the whole domain or just the top pages. Ok so that's all that you need to know for now. If you are in the Local Biz Alpha group project, or if you purchase the new Expired domain Redirection tool when we release it next week then you can access the over the shoulder videos. Either way I will post the results at the bottom of this post after a couple of weeks and again after 4 or 6 weeks.